We host this course annually in August. Sign up here to get notifications when our next class is starting. On this list you will also get early access to special pricing and VIP offers. We are accepting a limited number of students this year. We keep this class intimate so personal chart work and in-depth study is available. 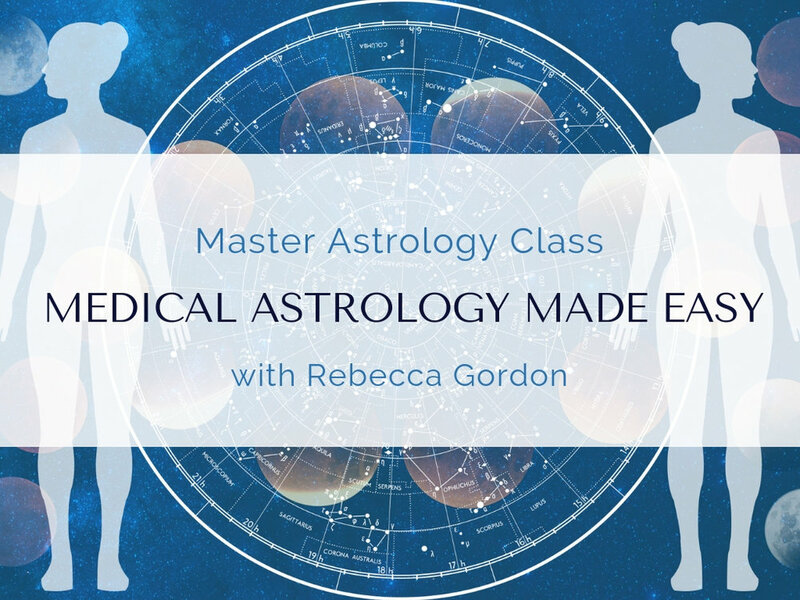 Look forward to seeing you in the Rebecca Gordon Astrology School! This class is for you if you already have a basic working knowledge of astrology (understanding of the planets and signs). You do not have to be a practicing astrology, though a foundation understanding will be required. Open to the beginner - advanced student of astrology. Astrology as seen through the lens of the body: understand how to work with planets and signs in this context. Discover how the language of our soul communicates through physical form. Exploring the aspects and chart configurations in medical astrology - how the spirit / emotion / psyche becomes manifest. Case studies as well as student charts can be used (with consent). The gestation period, birth, early childhood, through maturity, and how the experience of each will affect our mind-body differently. Approaching the topic of healing once the root cause is located - when to address and when to refer. Decode the astrological time of onset of condition and what it reveals. Timing for surgeries, therapies, and healing practices. We keep this class intimate so personal chart work and in-depth study is available. Look forward to seeing you in the Rebecca Gordon Astrology School. Lifetime access to re-take course anytime through the online school software. Along with co-author Stephanie Marango MD, I published this book on Simon and Schuster in 2016. It serves as a body scan and explores the connection between our physical form along with emotions, psyche and spirit. It is full of practical tools and assessments. We hope you enjoy!